Senior Shareholder Richard L. Thies Recognized as a “Founder” of Mutual Insurance Company | Webber & Thies, P.C. 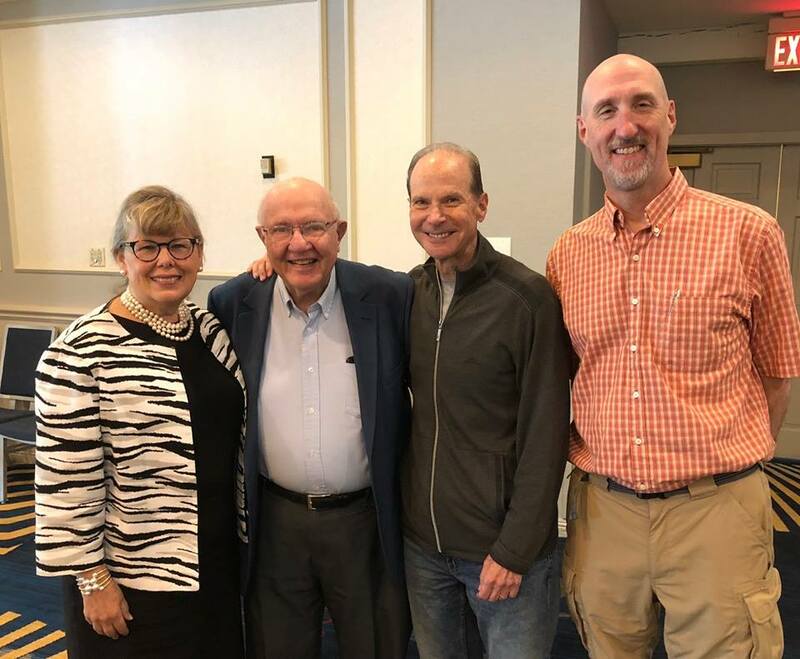 At the June board meeting of the ISBA Mutual Insurance Company, W & T Shareholder, Richard L. Thies (second from the left in the above picture), was designated as one of three founders of the ISBA Mutual. The company recently celebrated its 30th Anniversary and has grown to roughly 7,700 insured lawyers and $80 million in admitted assets. It was created as a product of the work of a committee appointed by Mr. Thies during his 1986-1987 ISBA presidency in order to keep malpractice insurance premiums at reasonable levels to the great benefit of lawyers and their clients throughout the state. Click here for more information on the history of ISBA Mutual.